Your First Step To Joining the Solar Workforce! 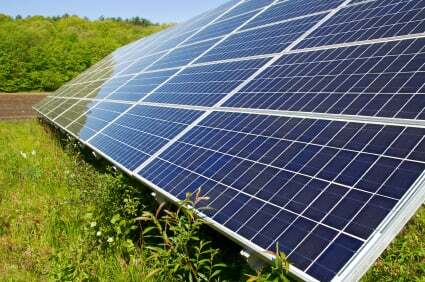 This solar energy training course is designed to help individuals understand the fastest growing form of power generation in the world - solar power. This is the best place to start to begin your journey into the solar workforce! No prior experience is required. We'll teach you what you need to start working in the solar industry. * This course will instantly qualify you for the NABCEP PV Associate credentialing exam. Prerequisites: None! Start here & prepare yourself for a career in renewable energy! Course Description: Gain a foundational understanding of solar energy principles and important solar terms with this PV101 course. 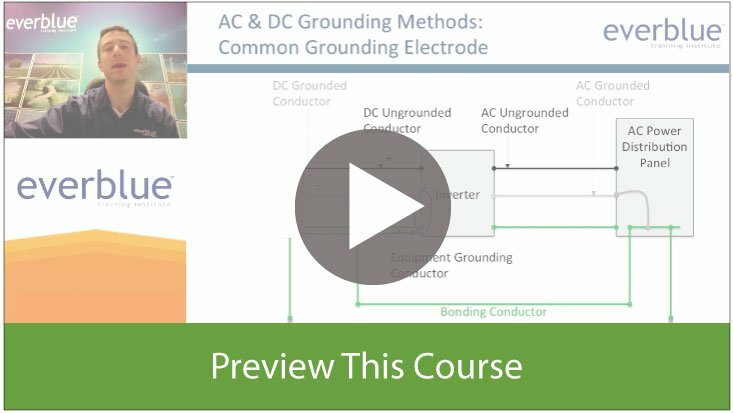 This Entry Level Solar Training class introduces solar energy and photovoltaics, electricity, system sizing principles and PV array electrical & mechanical design. Who Should Take This Course? The Entry Level Solar Training Program is intended for many people who are currently working in, or seeking employment in, the renewable energy industry. This may include students in renewable energy programs, workers at an early stage in their renewable energy career, experienced professionals who have just begun offering renewable energy products/services, or those in renewable energy jobs who lack a professional certification or degree. Course Format: PV101 is available 100% online and features video presentations, practice questions, PDFs, and useful links to additional online content. We recommend that students spend 18-40 hours in total completing this course. Is an Online Solar Course Right for Me? This 3-minute video preview will give you the look and feel for our online learning platform. If you're able to press Play and enjoy this video sample, you CAN do online solar training! This class features 24 sections, with each section taking 30 minutes to 2 hours to complete. The self-paced nature of this program enables individuals to log in at their convenience, on their schedule, and from anywhere in the world to participate. For more tips about online training success, click here! You will have 6 months of access to the online materials. You will see a countdown timer inside the course, showing how many days are left in your subscription. You will be able to purchase a 30-day course extension if you need more time. Everblue's proprietary materials cannot be downloaded. You must log into our secure online learning platform to participate. You may also purchase hard-copy materials for an additional fee. You must have a reliable Internet connection to access the learning platform. Login credentials are unique for each user. You cannot share your login credentials. Please contact us if you're interested in multiple enrollments. You do not have to download special software to view the course presentations. However, please ensure that you are using an updated web browser. We recommend Google Chrome, Mozilla Firefox, or Safari. Please ensure that you have the latest Java and Flash Player installed on your computer so that you can view the animations and interactions as designed. If you are attempting to access the course from a work computer or company network, please ensure that your company's firewall isn't blocking access to the Everblue site. Students should complete modules in the order that they appear to get the most out of the program. Why does the government have incentives? We're pleased to accept multiple forms of payment for our courses. Please note that the 6-month user access begins only when course payment is made in full (with the exception of Affirm financing). This means that those who choose to pay by check or payment plan will have a deferred enrollment until their orders are paid in full. The course fee is $599 with no hidden fees, taxes, or shipping/handling. For more information about payment options, click here. Option 1 - CREDIT CARD - Register online. We accept all major credit cards. Option 2 - CHECK - Call us at 877-358-4987 to create an order. Mail check to address on invoice. Option 3 - PAYPAL - Register online and choose PayPal as your payment method during checkout. Option 4 - PAYMENT PLAN - Call us at 877-358-4987 to make a down payment and to pay at your convenience. Option 5 - FINANCING - Register online. Choose Affirm at checkout to see if you are eligible. What are the cost for training? When is the next school? how often are they held? Our NABCEP PV Associate course is 40 hours in duration - 18 hours of presentation and 22 hours of resources and case studies. This training is completely online, so you could get started learning as soon as today. For additional questions, give us a call at 800-460-2575. How many days is the boot camp? Hello i would like to know how long does it take the get the training either online or at the boot camp. This NABCEP PV Associate training offers 40 hours of comprehensive solar training in a completely online format. The cost of the program is $599 and you'll be eligible to sit for the NABCEP PV Associate exam. I'm looking for solar classes so I can get my old job back. I know all the things to do but it has been awhile since I've done a installation and my job requires that I must take classes to make sure I get a career out of it. So where do I find your bootcamp? Hello Randal and thank you for your question. Our NABCEP PV Associate training is a fantastic way to rejoin the solar industry. This training is completely online, so you can get started today with making your goals a reality! We offer an online version of this course that includes 40 hours of self-paced training. I would like to know that after completion of this training, what is the earning potential? Thank you for your question. Salaries in the solar vary geographically, but they typically are within the range of $12-$23/hour. Our advice to do research in your city for more precise expectations. What states are your solar certifications good for? Thank you for your question. This course qualifies you for the nationally recognized NABCEP PV Associate Exam. Therefore, this course is applicable in every state. To answer your question about the down payment, we require a $599 down payment to hold your seat in the course. You can make progress payments at any time but the balance of the course fee is required prior to the start of the class. If you need assistance with the tuition pricing, depending on where you live there are grant and scholarship programs available as well. We are a startup company that needs to get 2 techniciansn trained and certified. Being a startup company, funds are a little tight right now. Any information on assistance with tuition would be appreciated. We are interested in the July 4th training in Indianapolis, IN. Thank you for your question. Everblue works with WIA to allocate funding for those who are unemployed. We also may be able to offer discounts for group training. For more information, please call us at 800 460 2575. Please contact me about your solar bootcamp. I would like to know how I become a solar installer and get started in the industry. This Solar PV Associate course is perfect if you are just getting started. We provide you with an intense introduction to solar and prepare you to take the NABCEP PV Associate Exam. You will gain a solid understanding of solar, including how to put solar PV systems together. This course is a great first step if you are interested in becoming a solar installer.